Farm, fleet, and off-road engines need an oil that will protect in any condition. Xtreme™ Fleet SAE Mono-Grade Engine Oils are crafted from Group II base oils and blended with a state-of-the-art additive package that keeps both diesel and gasoline engines protected in severe service and varied operating conditions. 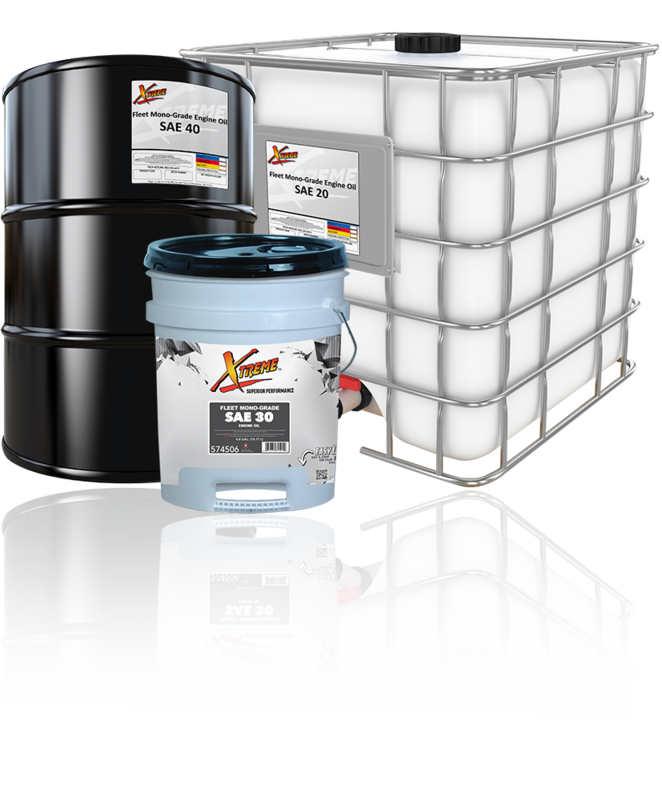 Xtreme Fleet SAE Mono-Grade Engine Oils are ideal for use in both four-stroke and two-stroke cycle diesel engines used in farm, logging, and construction equipment plus over-the-road trucking and commercial bus applications. Xtreme Fleet SAE Mono-Grade Engine Oils are available in the following viscosities: 10, 20, 30, 40, 50.